With the new technological developments, more and more people make the transition from a regular 9 to 5 schedule to freelancing. For instance, only in the US, in 2014, 53 million Americans were freelancers. Of course, the numbers went higher since then. And why shouldn’t they? As a freelancer, you have more control over your professional and personal life. You actually get to be your own boss. However, besides the obvious perks, you also have to fight a drop in productivity. This happens mostly because of procrastination and bad time management, but there are other factors involved. So, if you are interested in learning the most efficient methods to improve your productivity and become a better freelance writer, continue reading. As a content writer, you probably know already that there are a plethora of online platforms that promise to bring great clients and contracts. Still, many are just a hoax, trying to make you work for nothing. On the other side, a reliable platform doesn’t offer you the certainty of a steady workflow. This leads to alternating periods that throw you off course and mess with your productivity level. This is why it’s recommended to try and connect with sites like customwritings.com, where there is a steady workflow for each writer they hire. This way, you will manage to keep yourself active all the time which leads, in time, to a better level of productivity. The biggest enemy of a freelancer is procrastination. When there is no manager to check your progress and where there is no deadline pressure, work seems extremely easy to postpone. But this is the biggest trap there is! You actually do have deadlines (even though they are more relaxed). This means that most of the work will be done in the very last minute. This leads to low-quality and unsatisfied customers, which leads to less work and less productivity. It’s actually a vicious circle and it’s quite difficult to leave it. The best way to put things in order is to start with the small things and, most importantly, to do them now! Small things tend to pile up and soon you’ll get yourself a ton of small things that must be done in a very short period of time. Freelancing is not all sweets and roses. There are and will always be difficult tasks that you dread, but if you want the payment, you must do them. So, the easiest way is to take the bull by the horns and actually start your day with these tasks. Write your most difficult tasks for the next day on a piece of paper and put it beside your computer. In the morning, before you answer emails, do that task. The day will be less grim once you manage to complete it. Do you know those days when you don’t even want to open the computer? Well, being a freelancer doesn’t mean you don’t have to work, on the contrary. And when you can’t focus, the job becomes a lot more difficult. Actually, studies show that we are not meant to be focused and active all day long. That’s why specialists came up with the 90-20 rule. The rule is simple: you work for 90 minutes and rest for 20. This way, even though you’re not in the mood, you can still keep your focus for 90 minutes because you know you’ll get to rest for 20. Cool right? If you know social media is a distraction, try as much as possible to stay away while you’re working. You can catch up during break time. Also, things like TVs, game consoles, books, and anything that calls you for some leisure time must be hidden away. As a freelancer, being able to follow a work routine and sticking to the schedule is one of the greatest challenges you’ll ever meet. Once you manage to create a schedule and bring yourself to follow it, things will become a lot simpler. Also, it helps to establish working hours. Yes, it may seem like you’re at your job, but you’ll manage to follow a schedule and not work at ungodly hours. You may laugh or you may dread the list, but it is extremely useful. The important thing is to take a pen and a piece of paper and write your tasks for the day. 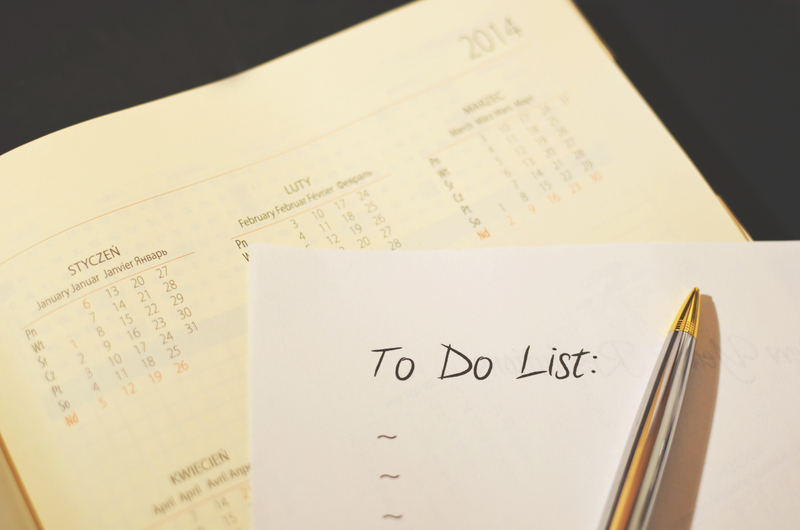 When one task is complete, you cut it off the list and, you can actually see your progress. This is a very important step and must be applied while you are doing the To-Do list. For instance, if you have to write a 5 pages article, this project can be quite scary. It involves a lot of research work and creativity and it will seem huge. However, if you break the project into pieces, it will seem simpler. You can reserve 2 hours in the morning to create the structure and gather the research materials. Next, you should break the article into manageable pieces that can be written separately. This way, if you tackle this huge task piece by piece, it won’t seem so scary. Sometimes the simple will of a man is not enough to fight procrastination, distractions, and plain old laziness. This is where technology steps in. If you feel you’ve been dragging things lately, install a time tracking app. This will let you know exactly what you did all day and how much of your day was actually used for work. Of course, there are other apps that could be of use, like task managers or project organizers. Just make sure to use only the ones that keep you productive. As you can see, in order to succeed as a freelance writer, you must understand how to manage your time effectively. Once you do this, you will succeed in being your own boss. It is not easy to make your profession as a article Writer in this time. But If you work hard it is possible and some time you need a long time to success. Thank goodness for this post. Because I’ve been starting to second guess myself – forgetting that this business takes time to ramped up. It becomes more and more clear to me that I need to prioritize proper breaks as I have a tendency to drift off on social media. I think I would be more productive if I started to use your 90-20 rule. It was nice reading. really it is helpful.